The call for project proposals in the international open competition Gorenje Smart Kitchen Accessories Inspired by the Simplicity Trend, announced by Gorenje on September 1st 2010 in cooperation with the Biennial of Industrial Design and the Velenje Gallery, was completed on October 31st 2010. Contest winners have been picked and all solutions submitted will be displayed at the Velenje Gallery from November 25th 2010 to January 8th 2011. Seventy-eight authors from ten countries across the globe submitted a total of 95 project concept proposals. Quite surprisingly, the jury's pick included only ideas from Slovenia. 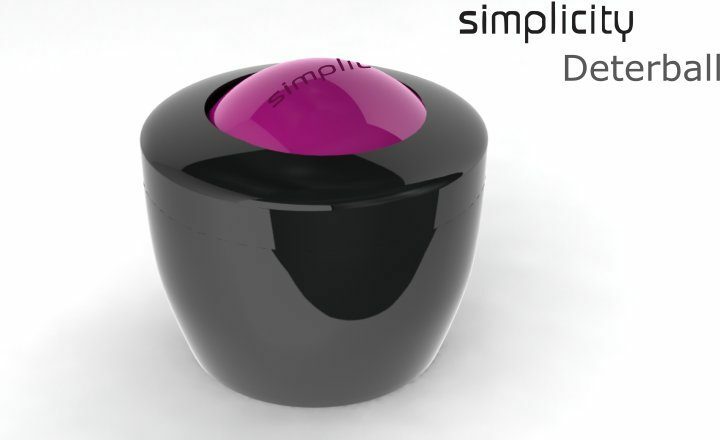 The winner was Darja Osojnik with an idea of a hand dishwashing detergent dispenser called Deterball. Second place was shared by two projects: mixing appliance named Eye Mixing by Uroš Bajt, and a range of appliances called Simplicity Hot & Simplicity Cold by the authors Nina Hercog and Mateja Martini. The third place went to projects Cool'n'Drink cooling stick by Brina Fekonja, and magnetic spice container, called Magnetic Spices, by Matej Colja. The awards will be presented on Thursday, November 25th 2010 at 7 PM at the Velenje Gallery, as a part of the opening ceremony of the exhibitions Gorenje Smart Kitchen Accessories Designed in the "Simplicity" Trend and The Best of BIO 21. The Gorenje Smart Kitchen Accessories will feature all ideas submitted for the contest. As a part of the display, Gorenje manufactured model versions of three awarded projects: the first prize winning hand dishwashing detergent dispenser Deterball and the third prize winning Cool'n'Drink cooling stick and Magnetic Spices spice container. The exhibition The Best of BIO 21 was prepared as a travelling display intended to promote Slovenian design and the Biennial of Industrial Design at home and abroad. 1st prize: Deterball: "We were convinced by the simplicity and purity of the solution. The product is environmentally friendly as it introduces control over the use of detergent. It is an original solution for an everyday situation of dishwashing as it allows single-handed use. The solution is also visually intriguing and appealing. In case of subsequent work on the project, the solution should be detailed and further developed in terms of technology. The idea is viable in short amount of time and it has a considerable market potential." 2nd prize: Eye mixing: "The author of the project contemplates the length of cooking process and seeks to simplify preparation of food that requires continuous mixing. The idea motivates preparation of homemade food which is much healthier than industrial alimentary products: jams, puddings, sauces, etc. Form follows function; it is simple. The idea allows room for upgrade. Turning the concept into a marketable product would require overcoming several obstacles. The idea calls for carefully thought out solutions with regard to torque and forces present in such motion. It would involve a longer development period and hence higher development costs." 2nd prize:Simplicity hot & cold: "The author motivates preparation of wholesome food and beverages made of fruit and vegetables. In technical terms, she considers combining the refrigeration with chopping function and heating with chopping function. The idea allows simplicity of the product's use and the author's approach is quite comprehensive as it also offers upgrade with recipes and a range of colours in which the product would be available. The idea is sound, if only somewhat technologically challenging due to required implementation of heating and refrigeration function on such small area. It is viable, but would require a long and costly development process." 3rd prize: Cool'n'drink: "The author offers an innovative beverage cooling solution. She finds that ice tends to dilute the beverage, while cooling sticks do not. Another advantage of the cooling sticks is that they take up less space in the freezer than the ice maker boxes. Cooling sticks feature elegant design, and their droplet-like form semantically mimics liquid. The idea is feasible from temporal, technological, and development aspect." 3rd prize: Magnetic spices: "The idea is attractive and exciting despite the fact that it is actually a playful reinterpretation of a standard solution. It is compatible with cuisine trends and it supports healthy cooking. The object is convenient and it is an original solution allowing spice storage in a small and convenient place near the cooker. The idea could be carried through quickly and it is viable in terms of technology and development." The Gorenje Smart Kitchen Accessories Designed in Tune with the "Simplicity" Trend and The Best of BIO 21 will be open from November 25th to January 8th 2011 at the Velenje Gallery, Tuesday through Friday from 10 AM to 6 PM and Saturday from 10 AM to 1 PM.